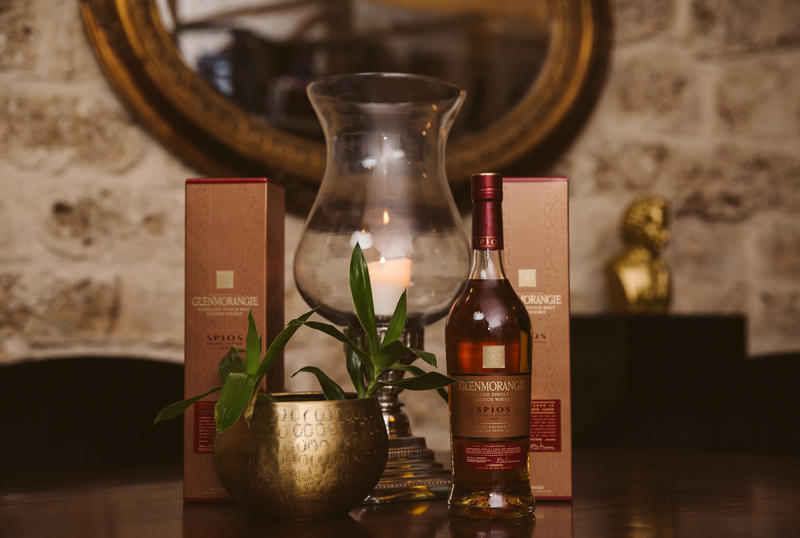 Glenmorangie have been releasing a “private edition” release yearly for the last 8 years, and this year’s 9th edition has been announced yesterday (and leaked label has been around for quite a few months now on TTB) – the Spios. 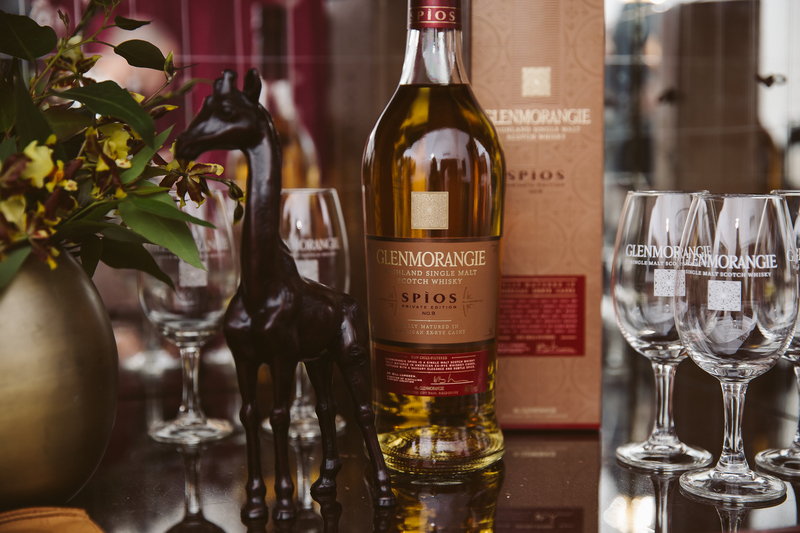 The name Spios, means ‘spice’, in Gaelic , and it’s easy to think why they chose it, as this expressions wood profile is quite unique: it has been matured solely in casks that previously held American rye whiskey. This is the first time a single malt scotch is fully matured in ex-Rye casks… and as we all know, Rye is a funky little beast, and is well known for being spicy and full of distinct spice flavors. The whisky is bottled at 46% abv, and will cost you £75, and although this is a limited edition, there will be quite a lot of bottles, so I am fairly sure Glenmo fans will be able to score some if they want (even in Israel). Last year’s Bacalta was quite good.. 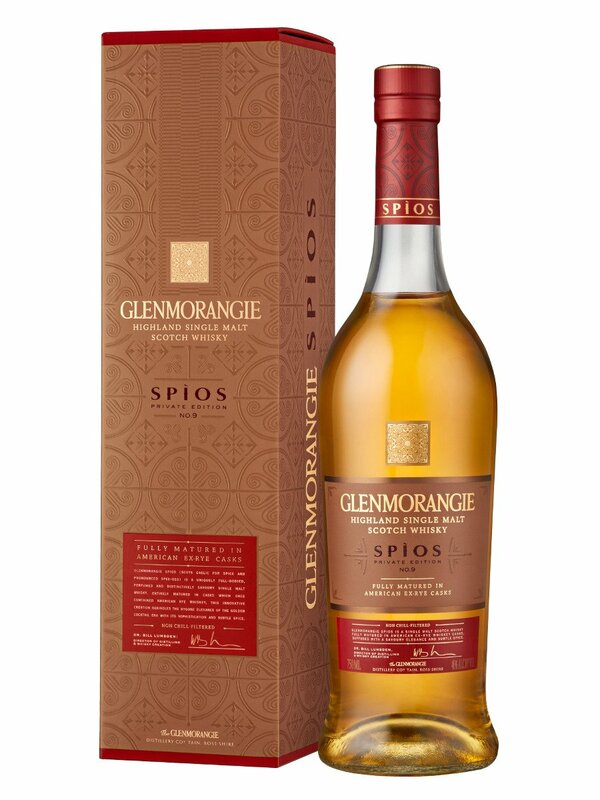 The Spios was launched today In Israel (along with other countries), and I had the pleasure of tasting it in an official tasting event here in Tel Aviv (Jaffa), Live (by video) with Dr. Lumsden , Head of Distilling & Whisky Creation at The Glenmorangie, as he presented his latest ‘creation’. Anyways, This whisky is somewhat younger than previous versions, it should be 7-8 years old.. 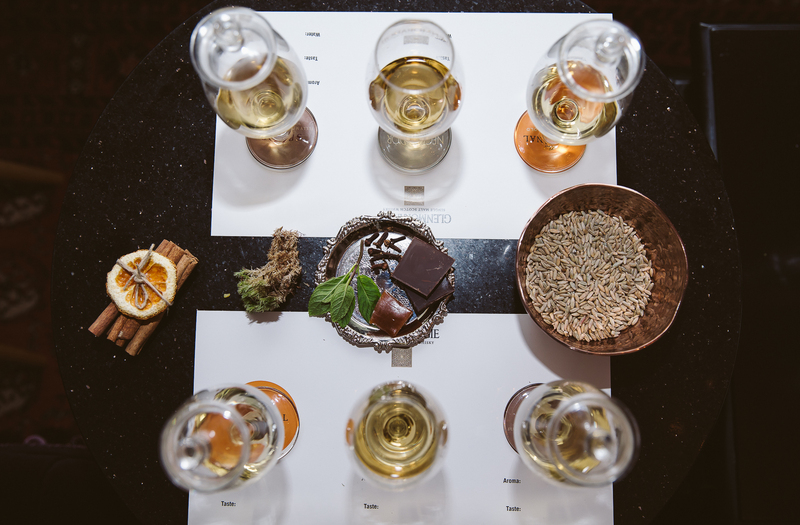 But as you can imagine the Rye casks imparted quite a lot of flavors to the distillate. Ok, let’s have a wee sip, shall we? Nose: The nose is sweet on entry, with quite a lot of spices : Clove, nutmeg and quite a lot of charred wood. Further nosing reveals sweet notes of toffee, some marshmallow , and fresh dough. It’s quite rich and heavier than the original although it’s younger. The Rye casks have indeed been quite active. Bill was speaking about hints of cherry, but for me, it was mainly on the sweet and spices , not much fruit. Palate: Spicy mama! the name really becomes it : as it packs quite a lot of spicy oomph. Pepper, and chilly and even some ginger powder, it’s really hot and spicy , zingy and bold. once the heat subsides, I’m getting some more toffee, cinnamon, clove and additional notes of wood. Finish: Cinnamon, sweeter, with the spicy notes almost gone, but the cinnamon and dough are still there. The guys at Glenmo were spot on , calling it Spios as it’s indeed spicy and full of spice, and flavor. It’s indeed very different than the original Glenmo, and if you’re a Glenmorangie fan on the lookout for a different expressions, this hits the spot. Like previous private releases, it offers a nice alternative and is quite interesting. Having said that, I was more impressed with last year’s Bacalta, which was such a fan dram to sip, much easier than this one, and rounder. At any rate this is a good whisky, that might appeal to some, but not to others. Worth a try for Glenmorangie fans, and there are many such fans worldwide. Available locally for around 400 ILS (although only 600 bottles were allocated, so I am told), and at online retailers (such as TWE) for 75 quid.